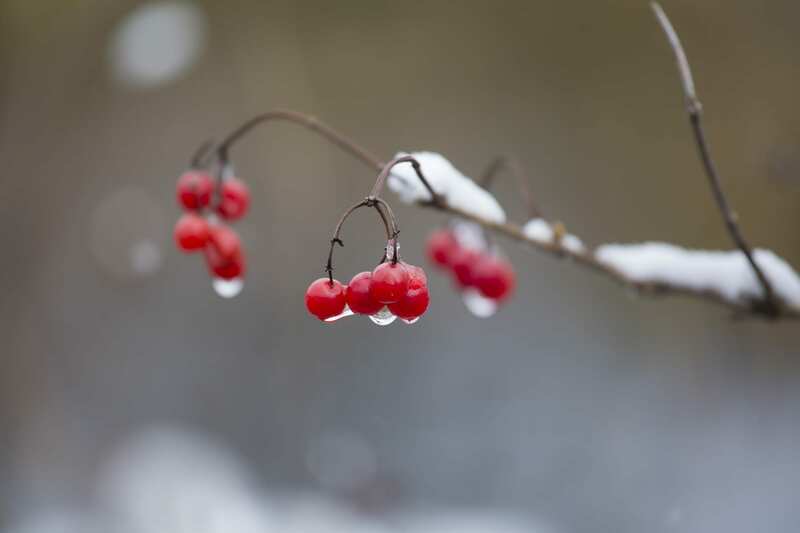 The National Weather Service has forecasted a mild and dry winter for the northern United States for December through February due to El Nino, but that weather hasn’t arrived yet. 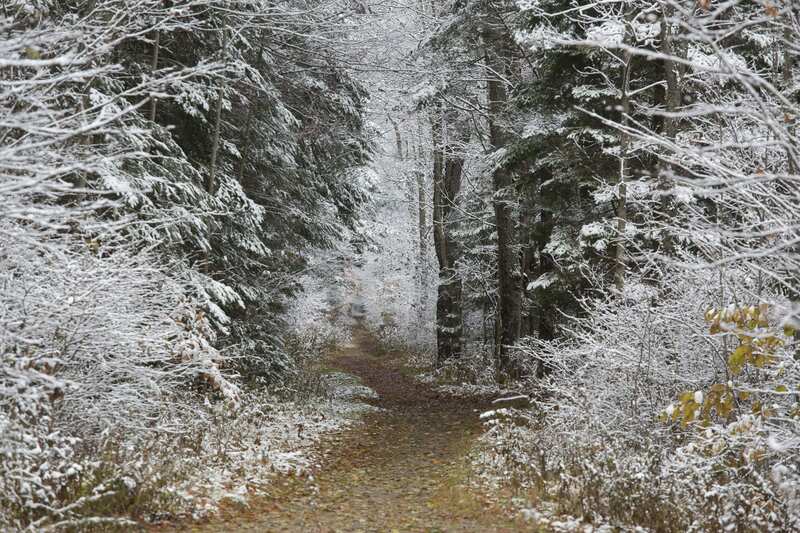 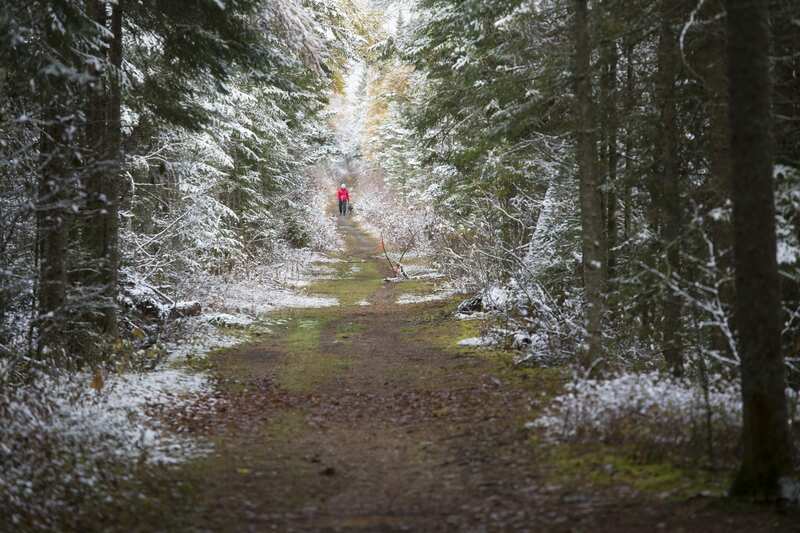 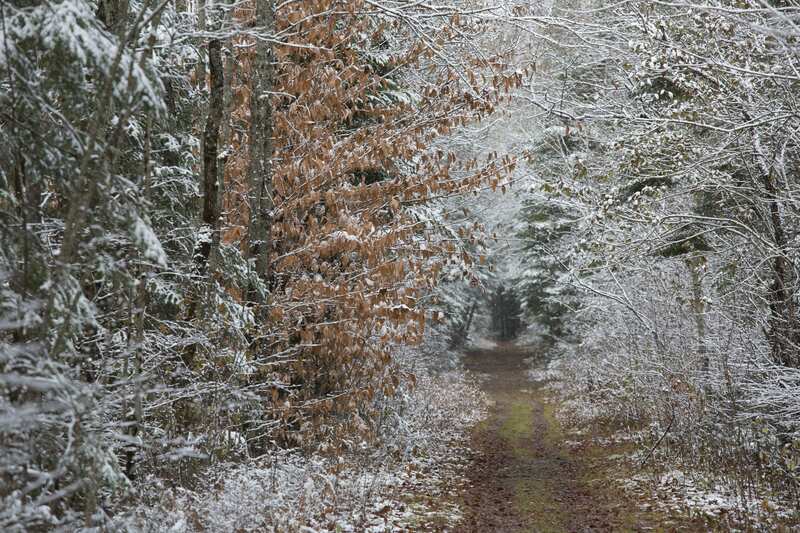 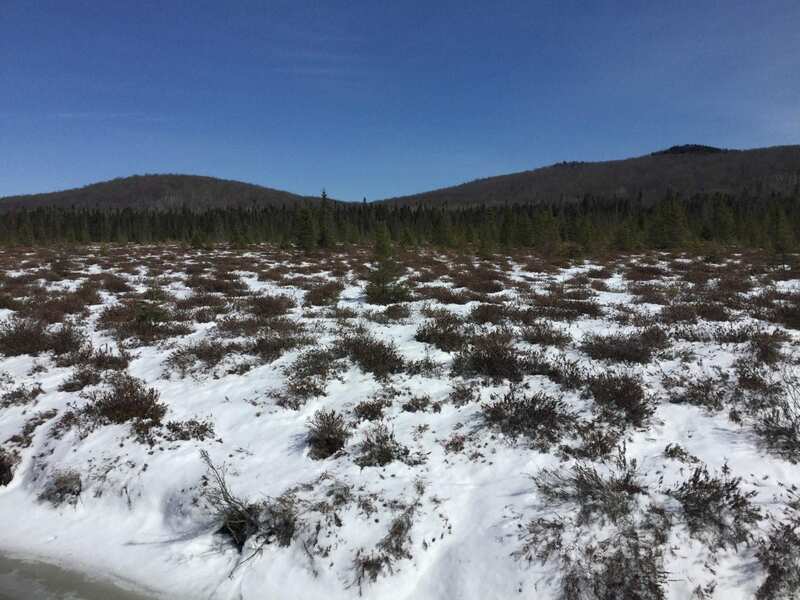 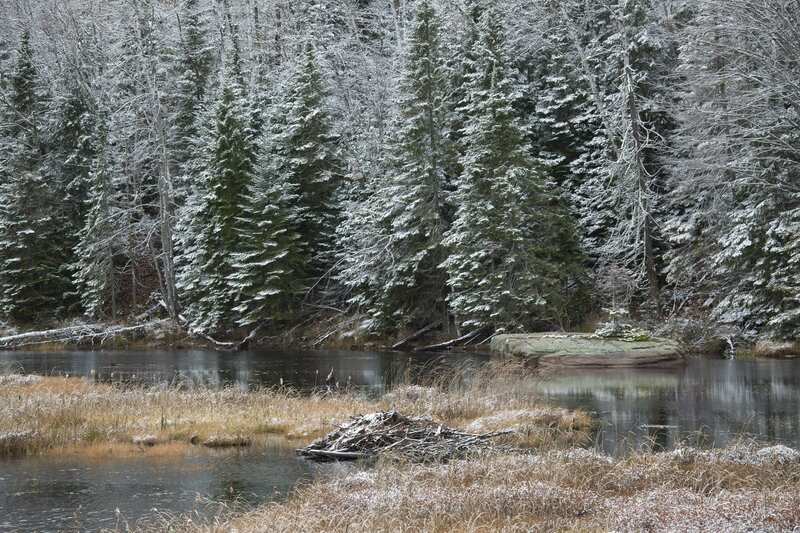 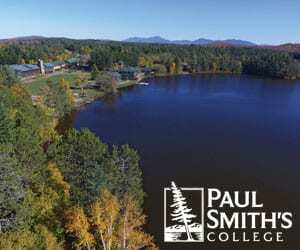 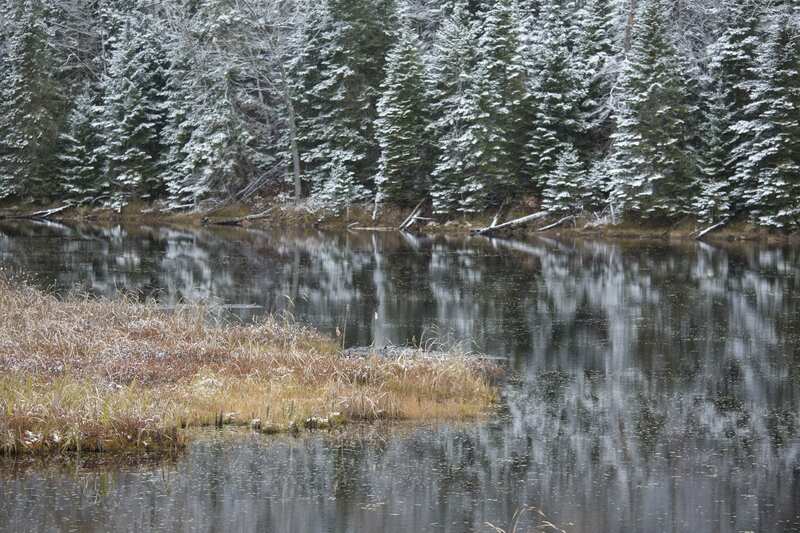 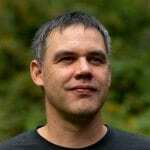 Instead the northern Adirondacks has been cold and wet, with the region experiencing several snowfalls in late October. 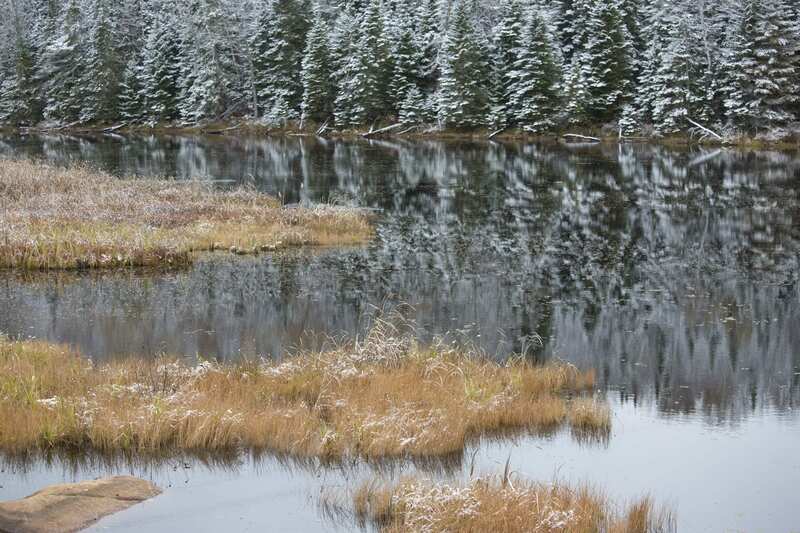 The snow isn’t sticking to the ground in the lower elevations yet due to above-freezing ground temperatures, but it’s been cold enough that ice has developed on some small ponds. 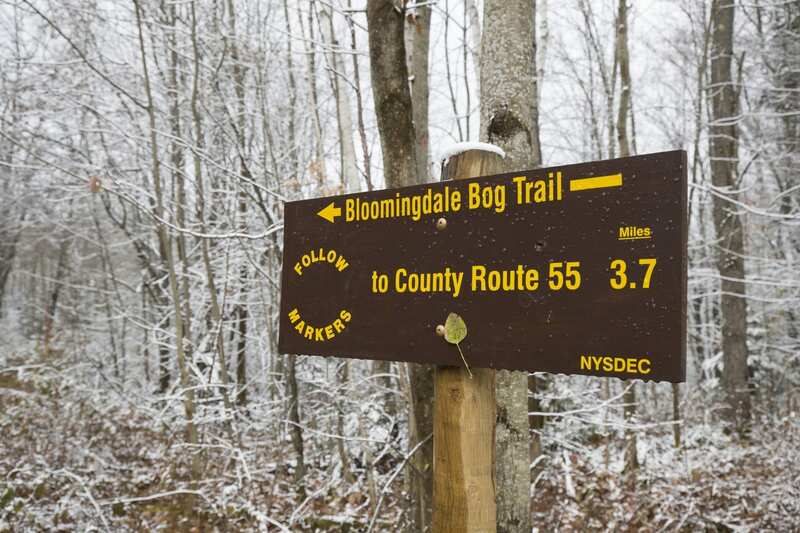 People heading into the woods, especially to the higher elevations in the High Peaks, should be prepared for winter conditions. 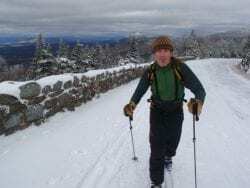 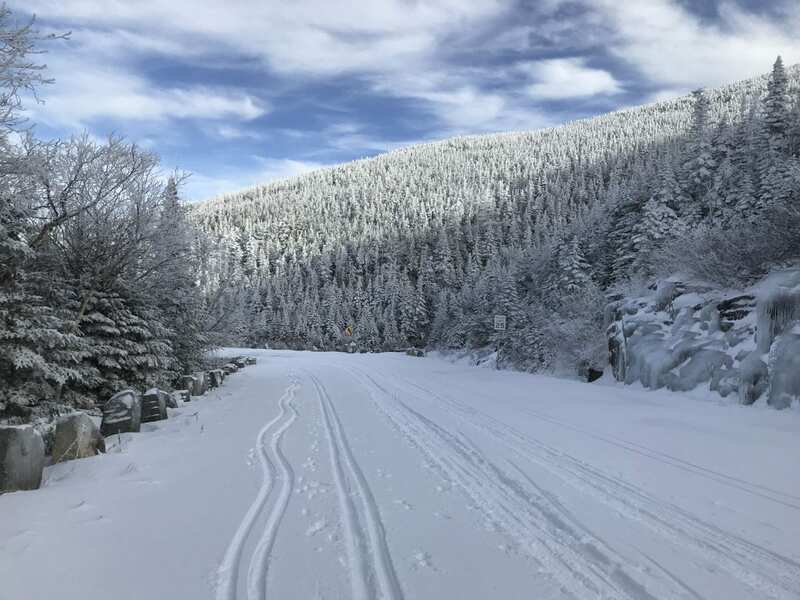 The mountains are snowcapped and some skiers have already been out on Whiteface Toll Road, although a construction project at its summit will likely keep the road plowed much of the winter. 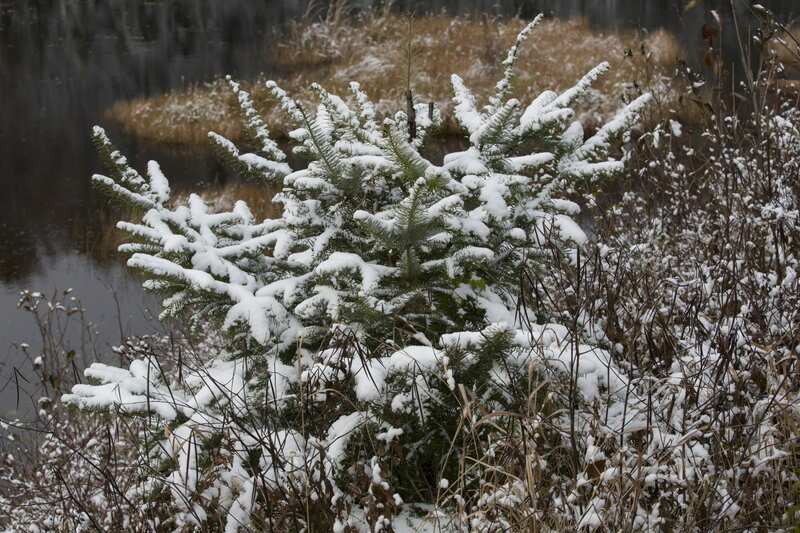 Above are some photos I took Tuesday at the Bloomingdale Bog Trail near Saranac Lake. 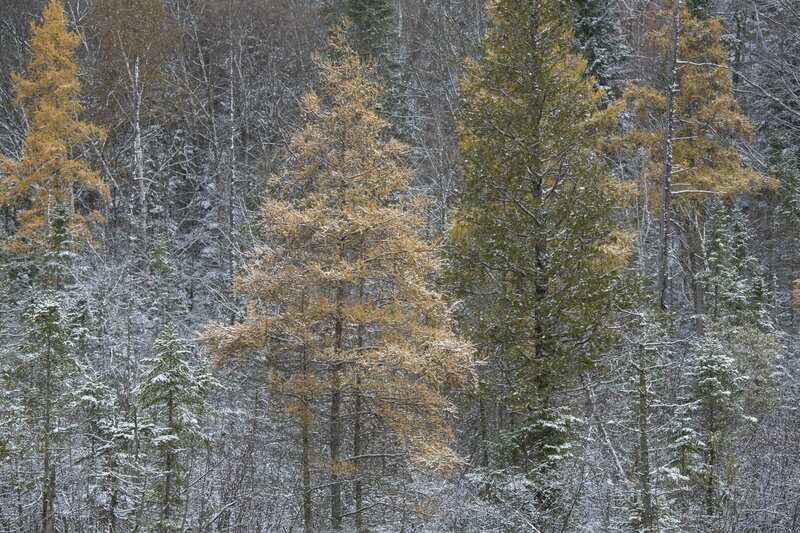 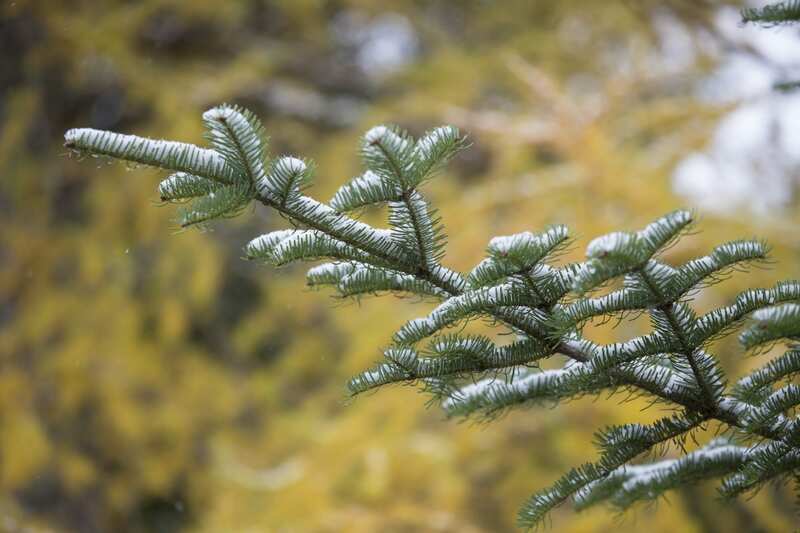 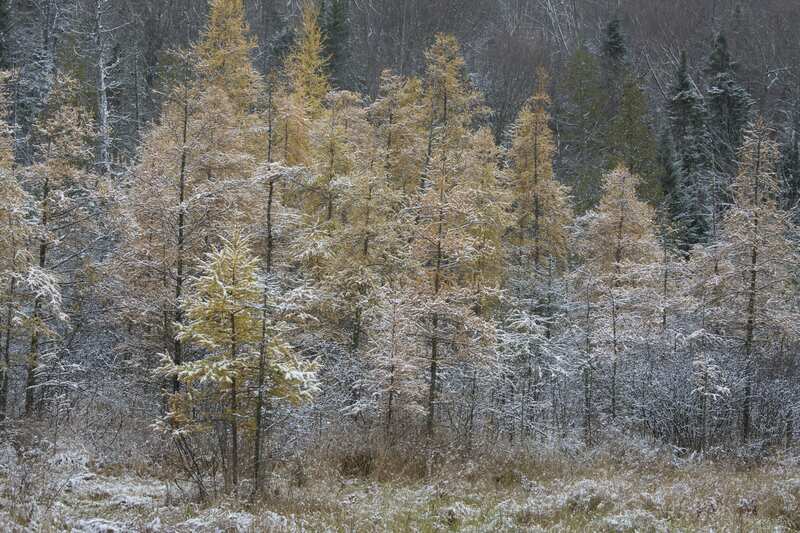 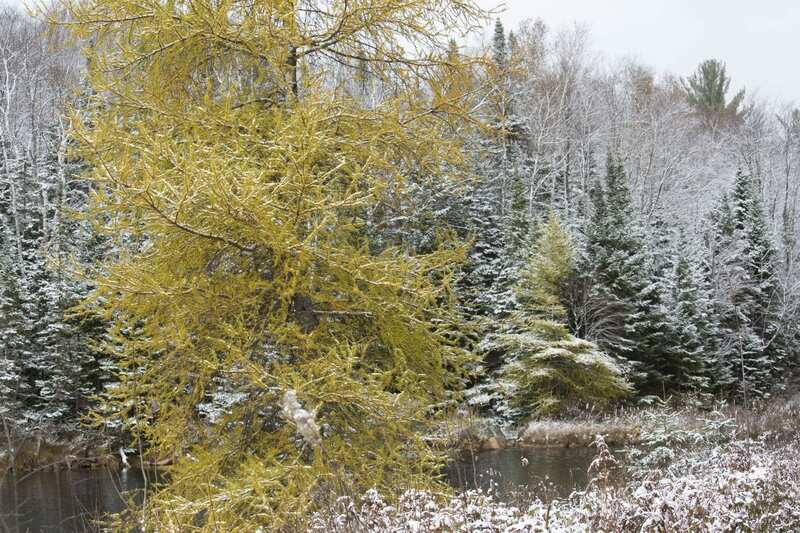 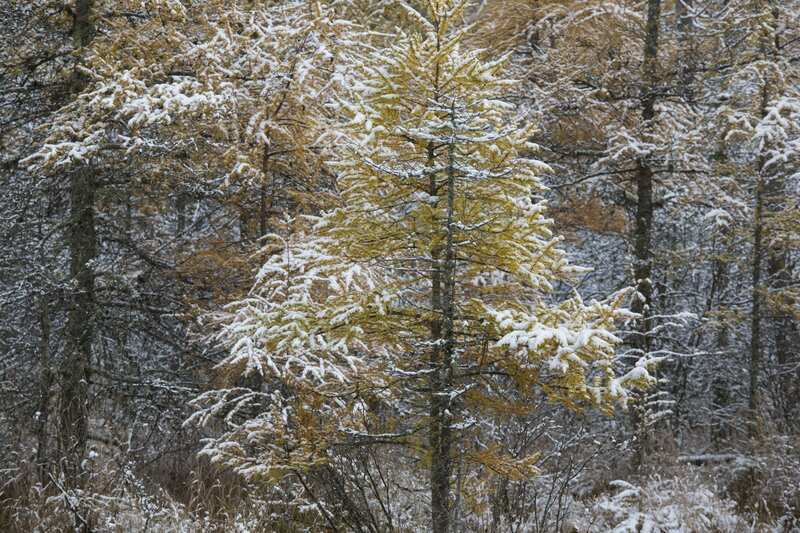 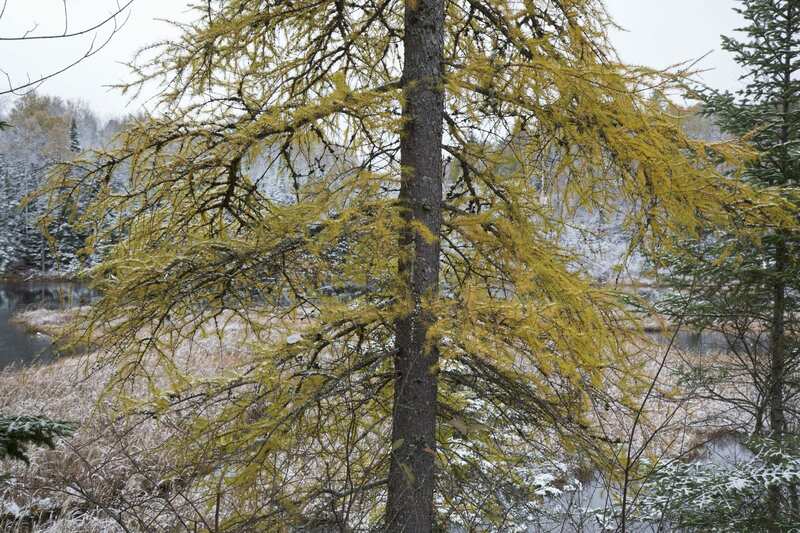 You can see the tamaracs have changed color from green to yellow, and the trees are covered in a coating of snow. 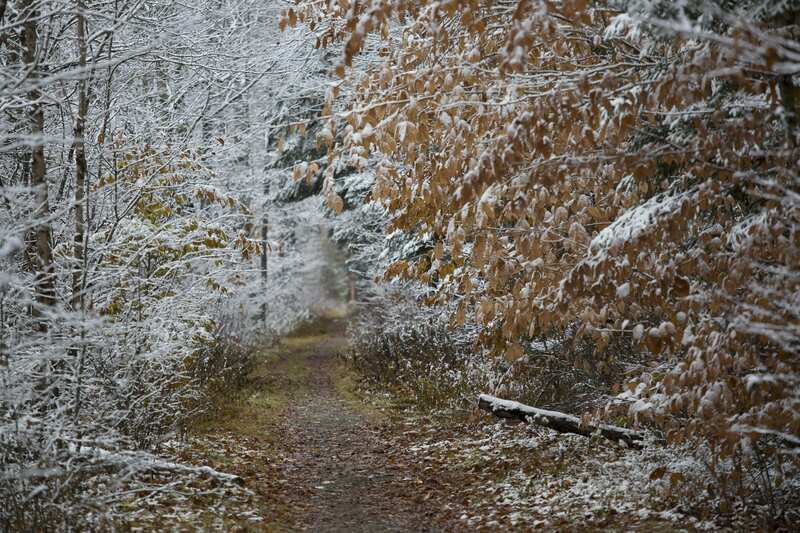 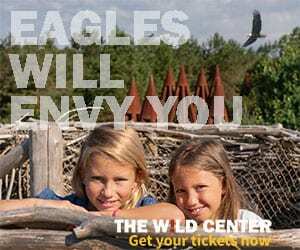 Wonderful photographs that trigger the imagination!